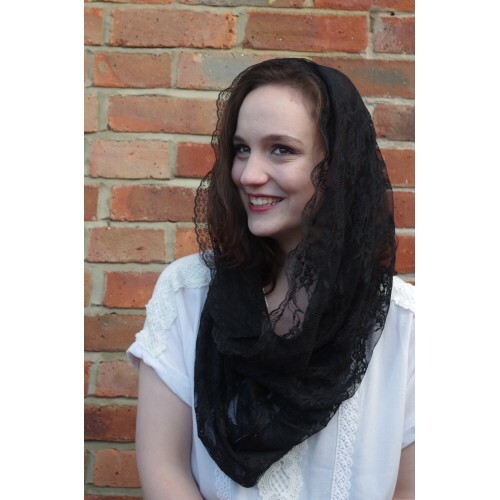 Black Lace Infinity Scarf Mantilla with detail of flower designs. 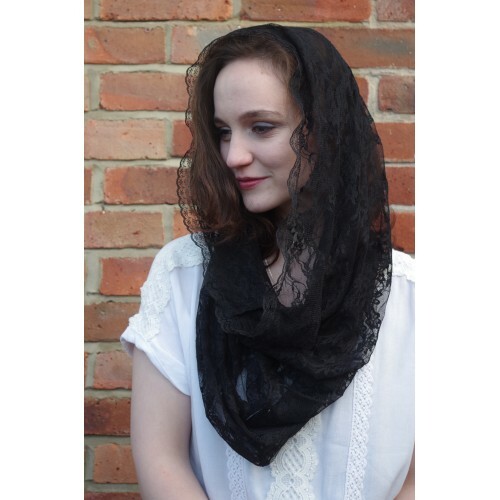 This beautiful infinity scarf is a comfortable and soft mantilla to wear not only for normal Sunday Mass but also for any special celebration. The difference in between this type of mantilla and the common triangular one is the weight distribution of the lace. 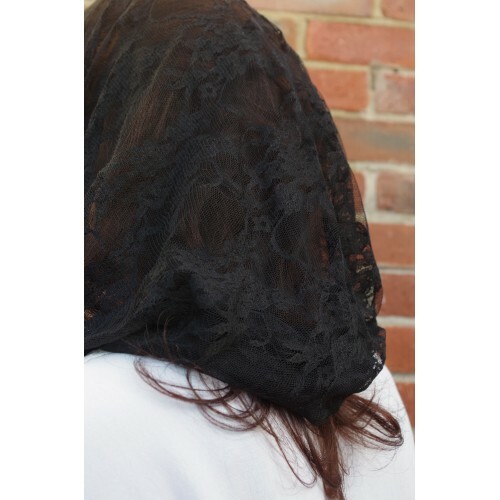 With the infinity scarf mantilla, the weight of the lace is around your head and shoulders instead of at the back of the head which allows it to stay put without multiple clips. No more crawling under benches to find it, even if your fidgety child keeps pulling it off! 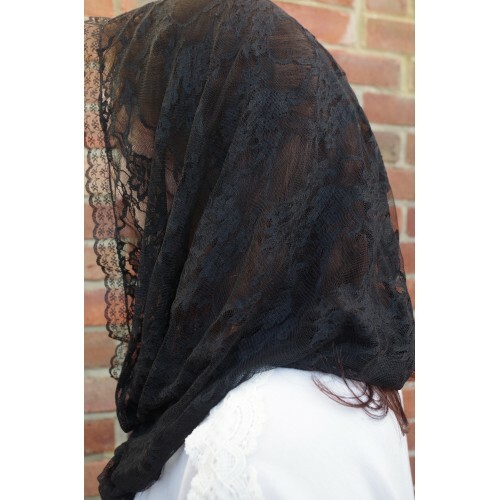 This mantilla is suitable for any child or adult. I used the same type for all my daughters when they were bridesmaids and their age ranges in between 8 and 24.